The Independent National Electoral Commission (INEC) has unsettled the national headquarters of the Peoples Democratic Party by its decision to accept the nominated governorship candidate submitted by the Adebayo Dayo led executive of the party in Ogun State. 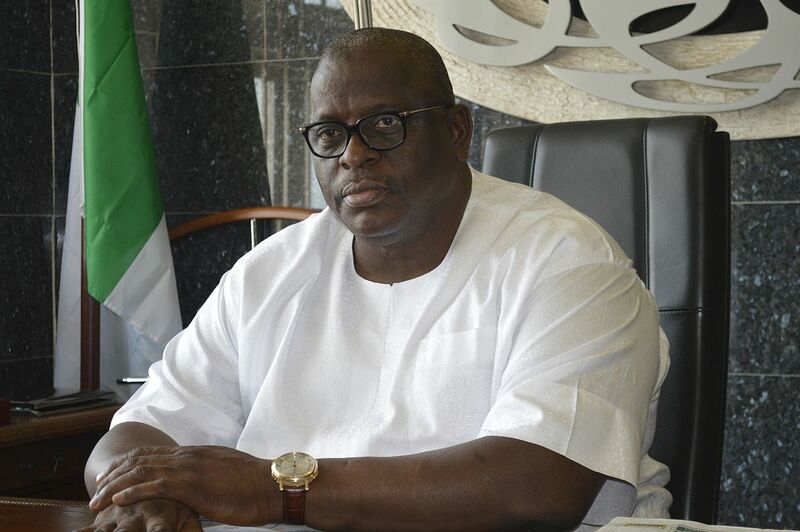 Sen. Buruji Kashamu is the leader of the faction. The Commission disclosed this in a letter addressed to the PDP National Chairman in Abuja. The letter was dated 25 October. However, the PDP National Publicity Secretary, Kola Ologbondiyan described INECâ€™s decision as a huge compromise. â€œIf INEC claimed that it collected any list outside what the national secretariat of PDP submitted to it, it is a huge compromise. â€œAnd we say so according to our statutes and all the laws governing elections in Nigeria. INEC cannot take a list from a state of the party. INEC takes list from the national headquarters of the party. â€œSo if it claimed that it had gone to take any list from anywhere, it is unknown to us and it is unknown to the rule guiding elections in Nigeria. â€œThey acknowledged all the names that we submitted to them. So, it is totally strange, unknown to the rules and unknown to the PDP that INEC is claiming that it has another list. We are not aware,â€ Ologbondiyan said. The PDP had submitted House of Representatives member Oladipupo Adebutu as the governorship candidate. In the letter signed by INEC acting Secretary, Okechukwu Ndeche, INEC said its decision was informed by the orders of the Federal High Court in three cases. These were FHC/L/CFS/636/2016 Engr. Adebayo Dayo & Anor vs INEC & 5 Ors; FHC/l/CFS/114/2018 Alhaji Adewole Adeyanju(Member PDP National Working committee) and 6 Ors. vs INEC and 30 Ors; and FHC/ABJ/CFS/636/2016 Engr. Adebayo Dayo (State Chairman) & 8 Ors. vs INEC & 3 Ors. INEC said that the Federal High Court in the matters ordered the Commission to recognise Dayo led State Executive Committee of PDP in Ogun State and receive the list of candidates for the 2019 Governorship, National Assembly and State House of Assembly elections from the said committee. It recalled that the Commission vide a letter dated April 12, informed PDP of the Commissionâ€™s compliance with the judgements of the Federal High Court in the suits, which were subsisting until set aside. â€œFurther to the above decision, the Federal High Court Abeokuta Division on 2nd October 2018 in Suit No. FHC/ABJ/CFS/636/2016 Engr. Adebayo Dayo (State Chairman) 8: 8 Ors. vs INEC & 3 Ors. also ordered the commission to recognise Adebayo Dayo led state executive committee of PDP in Ogun State and receive list of candidates for the 2019 Governorship, National Assembly and State House of Assembly Elections from the said committee. Kashamu whose factionâ€™s list was accepted, commended INEC and the leadership of the party for recognising the Dayo-led Ogun PDP exco. â€ŽHe reiterated his earlier call on partyâ€™s elders, leaders and teeming supporters to embark on massive mobilisation and reconciliation fora successful outing at the polls. â€ŽThe National Executive Committee, NEC, of the party had earlier expelled Senator Kashamu, Adedayo Dayo and two members of the Ogun State chapter of the party over alleged anti-party activities which was later overturned by the Court.